After the successful fourth edition of the Conference on Advancements in Nuclear Instrumentation Measurements Methods and their Applications in 2015 in Lisbon, ANIMMA 2107 will take place for its fifth issue at the Palais des Congrès in Liège, Belgium from June 19th to 23rd 2017. 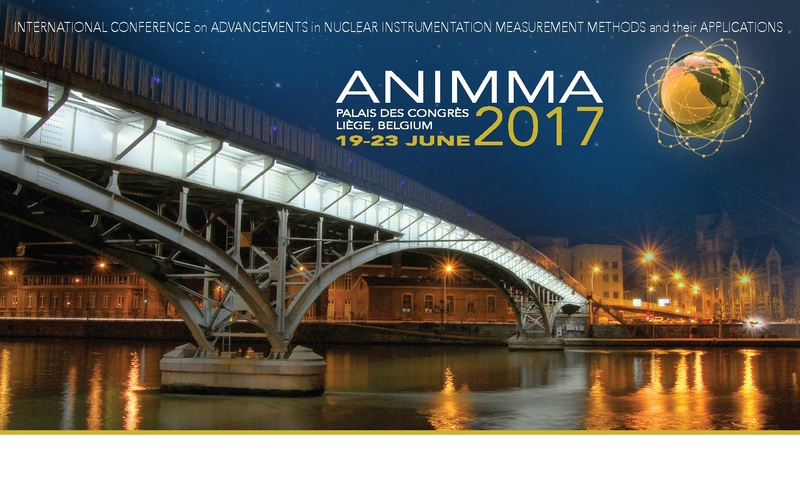 ANIMMA 2017 is the fifth of a series of conferences devoted to endorsing and promoting scientific and technical activities based on nuclear instrumentation and measurements. The main objective of the conference is to unite the various scientific communities not only involved in nuclear instrumentation and measurements, but also in nuclear medicine and radiation. The conference is all about getting scientists, engineers, students and the industry to meet, exchange cultures and identify new scientific and technical prospects to help overcome both current and future unresolved issues. The ANIMMA conference provides scientists and engineers with a veritable opportunity to compare their latest research and development in different areas: physics, nuclear energy, nuclear fuel cycle, safety, security, future energies (GEN III+, GENIV, ITER…), medical and environmental sciences. Thank you in advance for forwarding this call to your colleagues that could be interested in such international scientific event.